a top 10 lender committed to excellent customer service. We'll provide consistently superior service and will close on time with a wider array of products, more advanced technology, and a greater depth of experience, knowledge, and support. Be Empowered. Be Informed. Buy with Peace-of-Mind. SmartMortgage.com guides you step-by-step through the entire home buying process. Our process is built on a foundation of partnership and collaboration, custom designed for each home buyer’s unique needs and specification. There is no one size fits all solution in today’s volatile mortgage marketplace. As a first time home buyer you benefit most from having a partner you can trust. Buy with confidence. Buy with SmartMortgage.com, your trusted home buying partner. Lower interest rates than other programs. With SmartMortgage.com, veterans get lower rates and personalized service you’ve earned. In addition to our experience with the program, we offer unmatched service for veterans. From a logistics standpoint, a lot of VA loans cannot be processed in the same way as a standard loan. We’ve had active duty clients stationed all around the world who would run into roadblocks with their initial lender because of document signing and general paperwork collection issues. We have technology and a series of best practices to ensure prompt, assured service no matter where our clients happen to be in the world. Do you need a loan higher than $453,100? SmartMortgage.com caters to your unique situation and offers exclusive loans that close fast. Since jumbo loans above $453,100 (excluding high-cost areas) are not conforming loans, they are riskier for your lender and are therefore more expensive and harder to qualify for. We provide a well-designed platform for obtaining some of the best jumbo financing in the market today. Finding the right mortgage requires a loan officer to listen and ask questions. 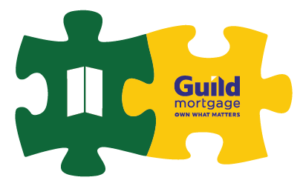 SmartMortgage.com is a caring collaborative of informed, experienced and dedicated professionals who have the knowledge and insight to create an optimal mortgage experience. Our licensed loan officers are true mortgage experts that do not read from scripted material. Finding the right mortgage requires your loan officer to listen and ask questions. Do you need to close fast? No problem! As a direct lender, we have designed our loan process to move more quickly than a typical bank. We will meet your deadline – not the other way around. Work with a mortgage company that takes the time to know and understand your unique situation. "Finding SmartMortgage was a stroke of good luck. Real estate transactions are so complicated these days that parties need a mortgage company they can trust to do a good and thorough job. That's what they did."